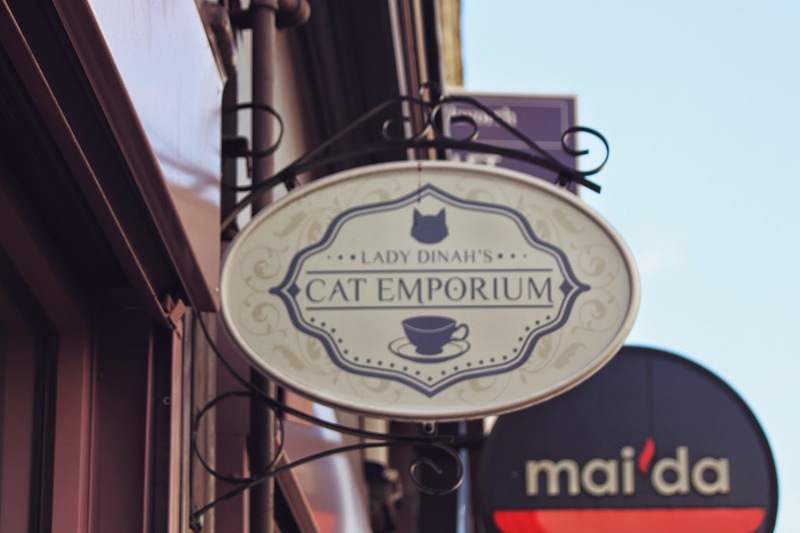 On Saturday, My Mum, Nana and I headed to Lady Dinah's Cat Emporium in London. Food, drinks and the £5 cover charge upon entry were on me, as a birthday & Mother's Day present to my Mum. 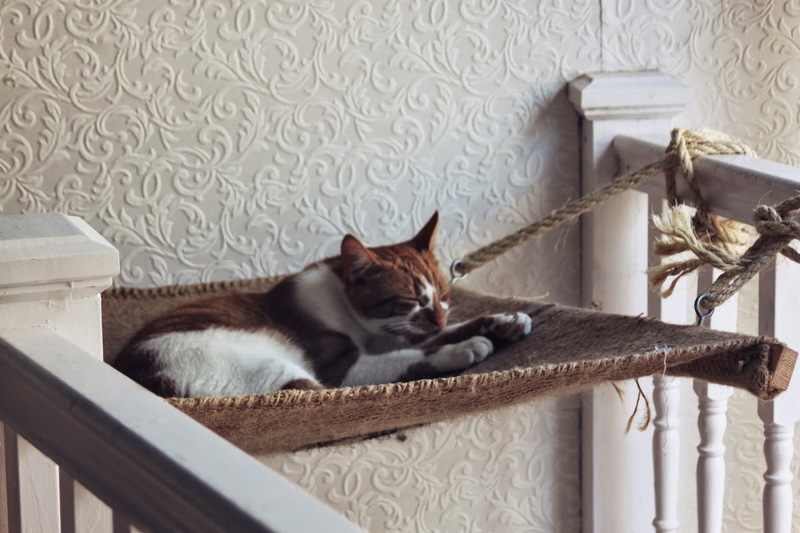 I booked in advance as Lady Dinah's is London's FIRST EVER cat cafe, and super hard to get into at the moment, being completely booked up months ahead. 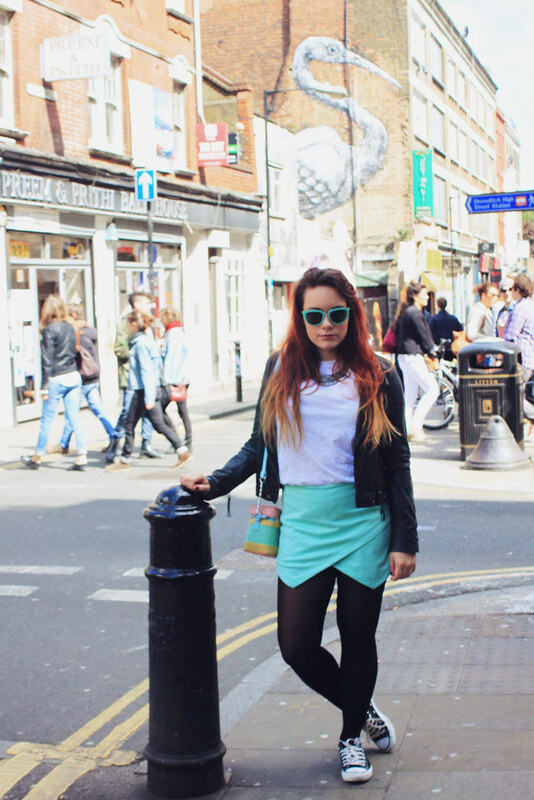 It was a lovely day, we started at Lady Dinah's and then wandered along Brick Lane, where I paused to take some outfit photos, and shop in the vintage shops. 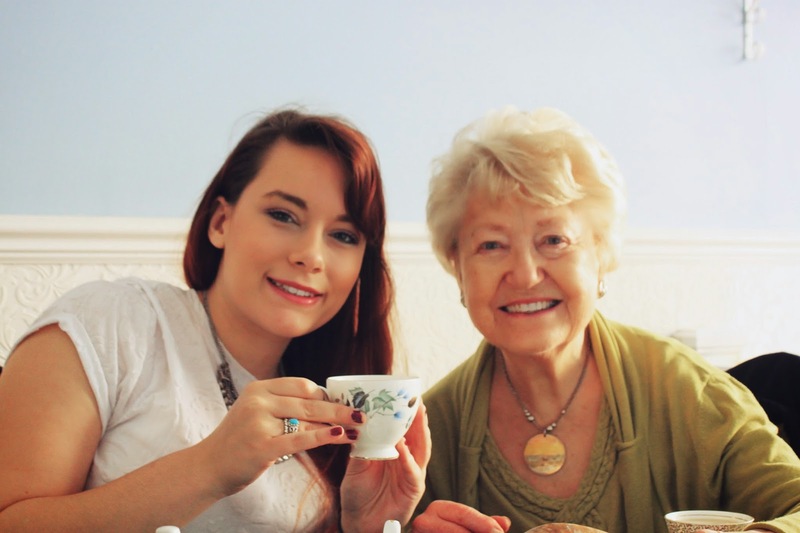 The concept of Lady Dinah's Cat Emporium is simple: have tea and cake, in a cafe, with cats! 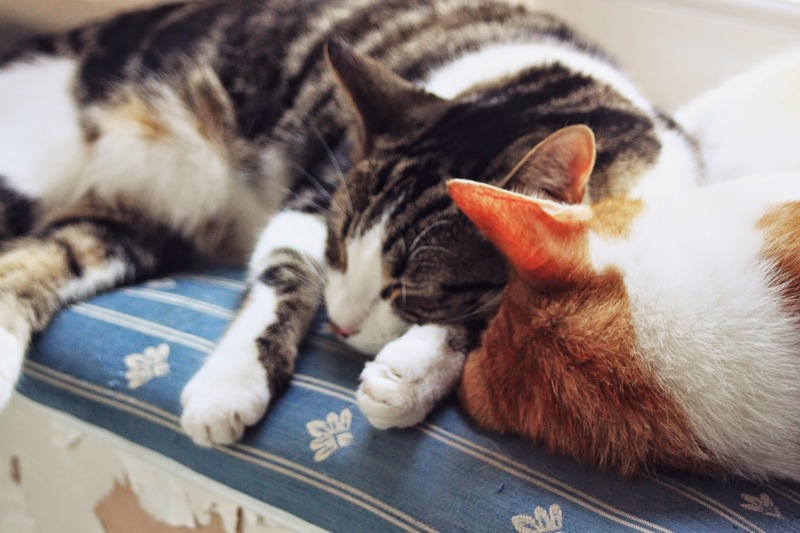 Originally, the idea formed in Japan, where many people live alone in flats where they aren't allowed pets. 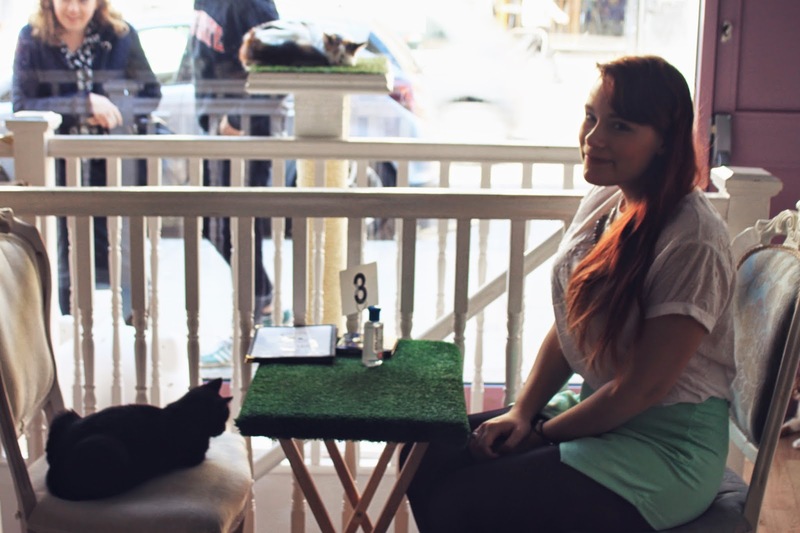 The cafes were set up to give these people some quality kitty time. 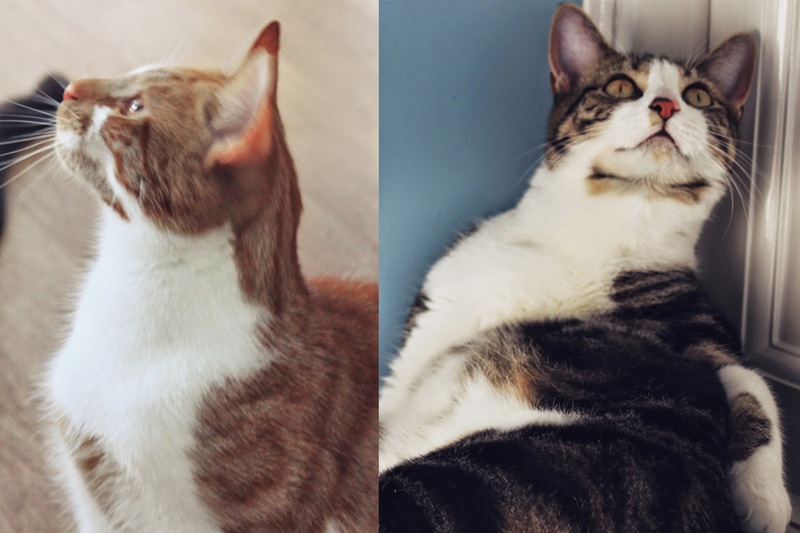 Lady Dinah's (which is named after Alice's cat in Alice and Wonderland) has 11 cats, who you can find out about here, and each session in the cafe allows people two hours with the cats. 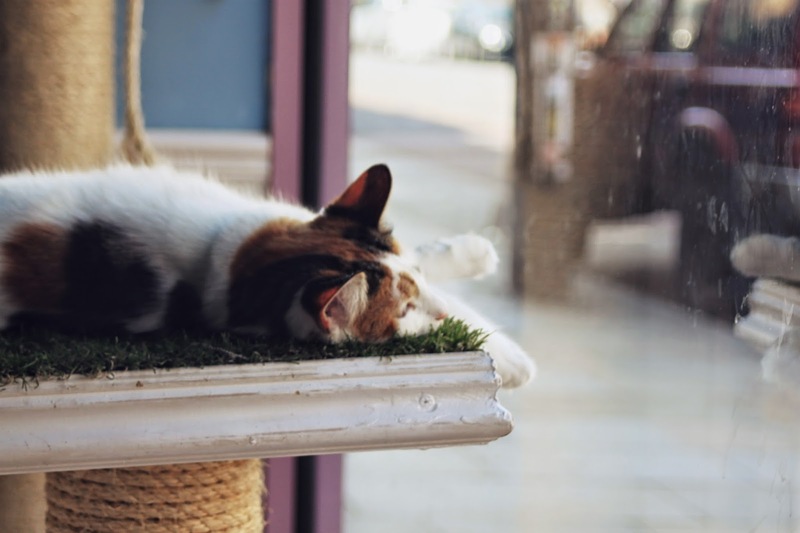 You can fuss, play with and take photos of the cats, but they ask you not to pick them up or wake them up if they are sleeping to ensure they remain happy at Lady Dinah's! 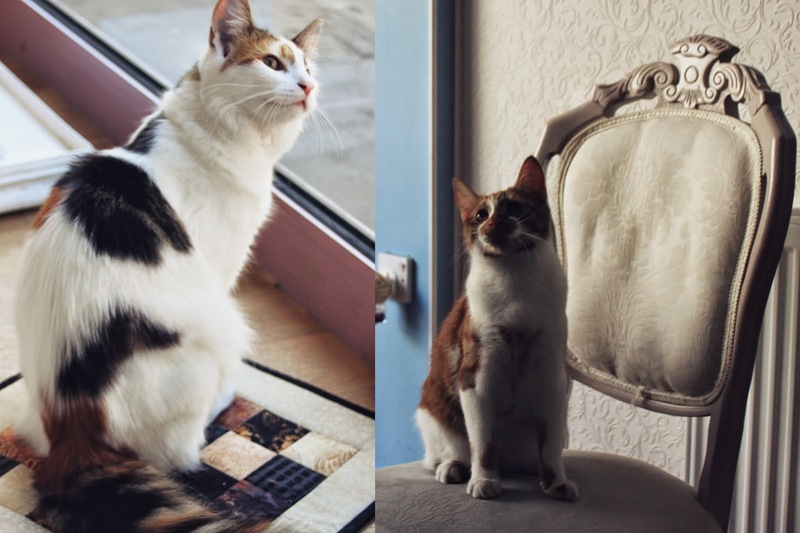 I took hundreds of instagrams, photos and videos as they cats were so much fun! We only paused to eat and drink, before continuing to play with the kitties. 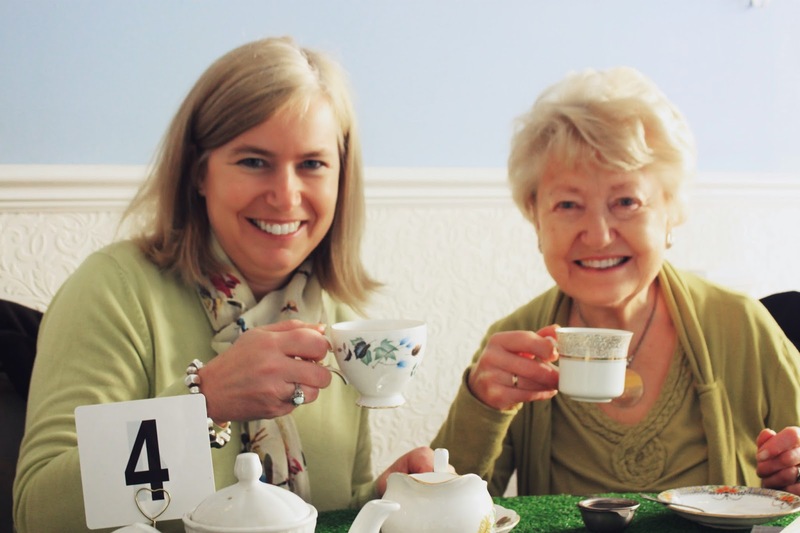 The tea and food was delicious, I opted for a quiche, Red Velvet cake and Earl Grey Tea (yum). Inside of Lady Dinah's is quirky, interesting and spacious- spread over two layers with a range of tables, sofas and kitty jungle gyms, of which I'm sure my cat at home would be very jealous over. It took me ages to whittle down the best of the photos I took on my DSLR in the cafe, as I took so many. But if you'd like to see more, check out my instagram, here. I didn't realise how much Primark I was wearing until I started taking outfit photos, but I think Primark have been on top form recently with their selections available! So, if you're looking for a bargain, I would highly recommend. Well, I'm sorry to have to mention it again, but its blog awards season and I'd be really chuffed if you'd nominate my blog again! This time its the Cosmopolitan Blog Awards. You can nominate my blog for 'Best Established Fashion Blog' and my youtube channel for 'Best Vlog' thank you! I'm also giving away £100 of vouchers for a Trek America trip. You can enter here, good luck!